The fishermans beanie is a fashion statement, a large cuffed adaptation of the much loved, ribbed beanie. 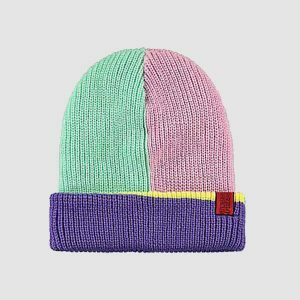 While this style has adapted a great deal over the years into what we now call the ‘fishermens beanie’, the seaside culture continues to be popular. These activities demand specific qualities from the clothes worn during their practice. 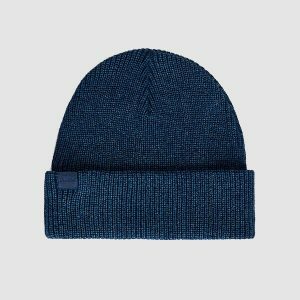 To keep up with modern waterside activities, the fishermens beanie has hybridized and adapted into a variety of options suited for ocean-based entertainment and commerce. It is no secret that the bulk of the world’s population lives near water. Serving as trade routes both domestically and internationally, over three-quarters of the worlds largest cities are by the coast. In these areas, fishing is a massive industry, amounting to over eighty billion dollars every year. Roughly forty million people worldwide note themselves as fishermen. This lifestyle is extremely demanding and requires appropriate outfitting for safety, health, and career longevity. The fisherman beanie is a classic look that puts function before fashion. 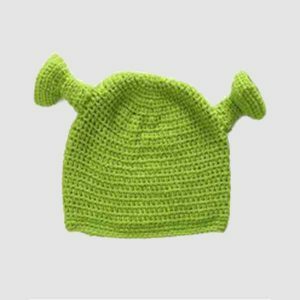 Whether on the coast and dealing with the constant brackish spray of the waves, or on a boat doing labor-intensive activities, the demand for a breathable hat that provides warmth and is quick to dry is constant. The fisherman’s beanie must stay put when the sailor is moving around, as the job tends to be extremely hands-on. Beachside temperatures tend to be colder than their land-based counterparts, due largely to the humidity and unbroken winds. In order for the fisherman to maintain adequate body heat, the beanie must have appropriate insulation. Long work hours, often in excess of twelve hours, give the fisherman a need for warmth and comfort of a hat that is easy to wear and breathable to reduce moisture and promote comfort. Splashing water and sweat generated from labor-intensive work require a quick-drying fabric. 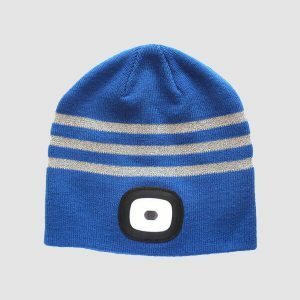 The constant humidity of the ocean demands a beanie that can dry out in a hurry. Many fishermen on long treks can be gone for as long as a month. This, coupled with long shifts, puts great strain on the hat, and a beanie that can survive this daily wear and tear is a necessity. 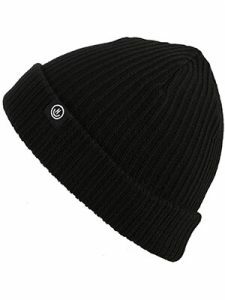 The fabric is a big consideration in terms of beanie longevity when exposed to the brackish conditions of sea water. High saline levels impact different materials in unique ways according to Pub Med. This material is artificially manufactured to resist the common issues of degradation faced by natural fabrics. Due to this, acrylic and other polyesters are the most resistant to high salt conditions. This fabric is the most sensitive to high saline conditions, showing the earliest signs of deterioration after exposure. Depending on the creature from which the wool is sourced, the shelf life will be longer. Treated wools have a longer shelf life given exposures to high salt conditions like those found at sea. A throwback to the original tweed style of the first fishermen’s hats in Ireland, the NEFF beanie is designed in a similar fashion. The make promotes wind and water resistance and is best for serious fishermen who spend long hours on the water. According to BMJ journals, for every 1% increase in humidity, the likelihood of pneumonia increases by 4%. Since the ocean is the very source of humidity, the risk of fishermen for these problems is higher. To mitigate these risks, a warm, insulating option is critical. 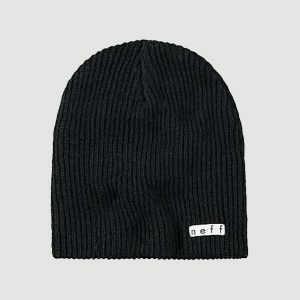 The NEFF beanie for men is tough, durable, and resilient to exposure. In addition to high functionality, the soft fabric and sleek design makes this perfect for on and off the boat. The plain features focus on warmth and comfort during use. Made of acrylic, the polymer-based material offers a long-lasting solution to constantly wet conditions. Adding style to the function, this hat’s clear purpose is to provide warmth and protection from the elements. It’s durable frame and easy to wash design make it a good long-term solution for fishermen. Bright yellows are often associated with the traditional slicker worn by fishermen at sea. 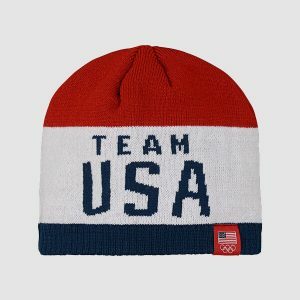 To keep with the classic colors and iconic designs that have thrust this hat into popularity, this beanie comes in bright yellow and red. 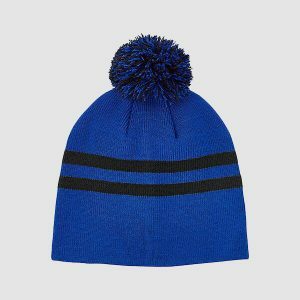 The beanie is simple and utility focussed, keeping with the typical requirements of a hat worn in at-sea conditions. The cuffed, gray beanie is perfect for more labor-intensive roles at sea. 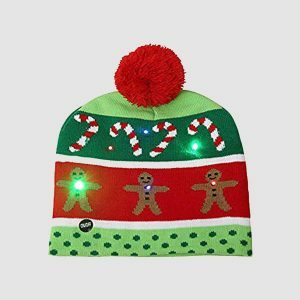 Made of wool, this hat is designed to promote warmth and a comfortable fit. The fishing culture has long been held as hardworking and highly demanding, with tiring hours. The physically demanding nature of the job has long held the fisherman as a pinnacle of masculinity, with the style of the fisherman sweater and beanie becoming associated in kind. 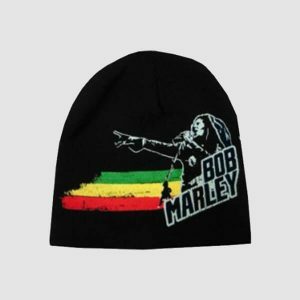 A classic take on this well-known look, this beanie covers the ears and stays firmly in place. The fabric promotes airflow, resisting weight when wet and drying quickly when conditions become favorable. This one size fits all beanie is the perfect solution for newer fishermen looking to boldly embrace their new role. A large cuff matches well against the bright colors options and offers warmth and comfort for those on the docks or on the water. The breathable material provides a breathable frame allowing proper regulation of body temperature, necessary when exposed to weather on the water. The plain appearance and durability add to the appeal of these beanies that are meant for long-term use. Distinctive in appearance, the fisherman’s hat stands alone in terms of design structure and general style. First appearing in the early 1900’s the fisherman’s hat traditionally offered protection from the rain and the constant briny splash of ocean water. Its high usefulness made it into the prolific icon that it is today, having set the bar for boat side utility. The KBETHOS beanie is a suitable companion for sailing, meeting the demands for airflow, quality fabric, and comfortable fit. 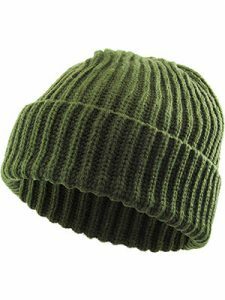 The ribbed, cuffed design is offered in many colors, with the olive green being a fan favorite for its classic appearance. It is stretchy and the high-quality acrylic is tolerant of exposure to high saline water. Once referred to as a ‘bucket hat’, the modern fishermen’s beanie is the developed version of this original form. Typically, when sailors first began using this item, it was made of tweed or wool to provide natural water resistance similar to the benefits reaped by the animal from which the fabric came. Since that time, textile science has developed to create new options that are simpler to reduce, a savings passed to the consumer. Modernizing this industry allowed for developments such as polyesters which are the most resistant to saltwater conditions. 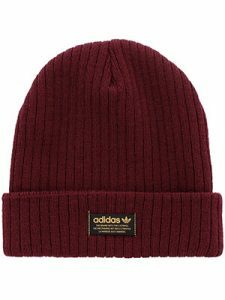 The Adidas beanie is an updated version of this iconic headwear that applies modern textile manufacturing to the much-loved design. 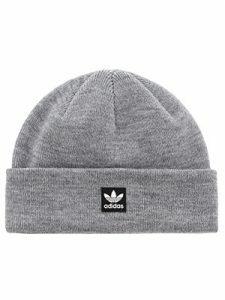 Wearers found the beanie by Adidas ideal in terms of comfort and fit, noting that it does not provide significant coverage of the ears. The premium quality acrylic reduces the vulnerability to the highly salinized conditions of seawater and provides a stretchy fit and firm wear. Whether out on the ocean or boating on a lake, the wind levels will typically be higher due to the lack of coverage in the open space. Though many vessels will have below deck options to avoid the wind, many fishing situations are single day and offer limited options to avoid the wind. To mitigate these impacts on the sailor, a sturdy hat that insulates against the sharp breezes of water bound conditions is a requirement. The Stokowski beanie is a perfect option to meet these demands and emulate the look of sailors of the past. 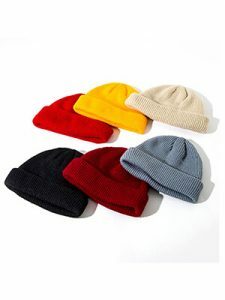 This unique beanie offers a twist on the original appearance of the classic fisherman’s hat, hybridizing the bucket hat with the skullcap beanie. A thick cuff and smaller headcover offer a vintage take on this popular hat. Its durable design is sectioned for a firm hold that promises of long shelf life. The woolen material comes together in a segmented pattern that affords sturdy wear and is good for colder weather. 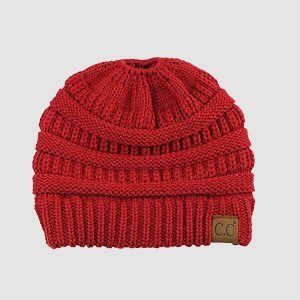 This classic, uncuffed beanie is of traditional design for the fisherman’s outfit. A loose-knit allows the wearer airflow and the bright red color sets them apart from the crew. Colors that contrast with the apparent sights at sea, which are predominantly blue and grey, is ideal to stay safe and in sight. 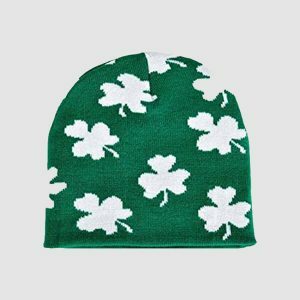 The beanie is made by hand and uses premium quality materials to ensure a tight-fitting design for the wearer, necessary when dealing with the demanding conditions faced by fishermen. The culture held around fishing as a culture has long relied on the handmade, with a design that is commonly held to have originated from working-class Ireland in the early nineteen hundreds. 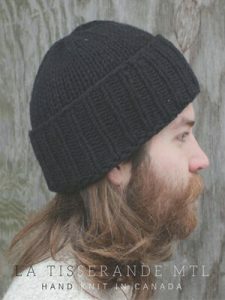 The fishermen’s beanie emerged into popularity just subsequent the Industrial Revolution, a time where renewability and environmental concerns were not a factor. In modern times, there is a continual search for high-quality materials that have a positive impact on the planet. One such option is the low carbon impact of alpaca wool. According Recycle Bank, the alpaca is one of the most eco-friendly animals in the world. With increasing social consciousness, the beanie by INCA allows the environmentally conscious fisherman an opportunity to make sustainable choices without sacrificing quality. 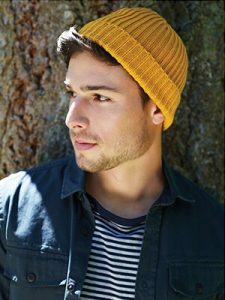 Using this premium quality wool as material, this beanie brand is popular for its soft wear and sustainability. 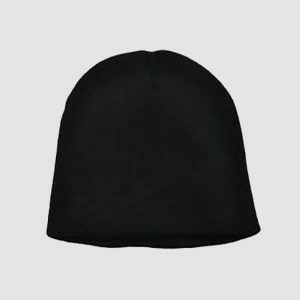 In addition to mitigating any environmental concerns, this beanie is long lasting and machine washable. These animals are large support in the organic farming communities, originally from Central and South America. Now growing in popularity across the globe, these animals and the wool they provide have been recently adopted as a common practice in the USA. Alpaca wool is held as one of the most superior fibers in the world, with sturdy form coupled with comfort not associated with traditional wool. 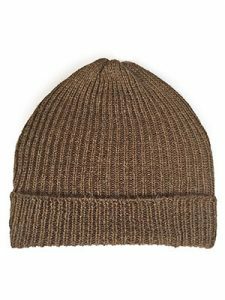 This beanie was built to last against the conditions since the wool is a natural animal defense to rain and ocean spray. Using this organic technology, the wearer reaps all the benefits of the water resistance while having a minimal environmental impact. Not all fishing occurs out at sea, with a great deal of fishing activities being based around docks or fly fishing in rivers. Though the scenery may change, the need for a warm and lightweight hat is unaltered. Often, for recreational fishermen, the endeavor will involve a group. Long held as a classic family vacation, the sport of fishing is suited for all ages. In keeping with the ‘teach a man to fish’ adage, matching beanies are perfect for fathers looking to impart knowledge on future generations. The comfortable cotton design by ZOWYA is perfect for sailing in pairs. 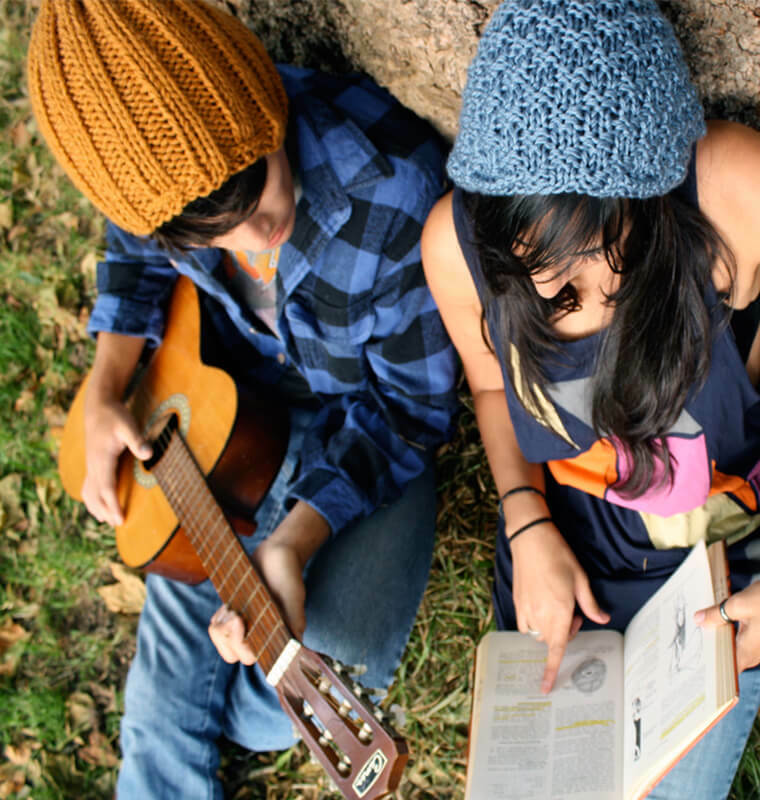 For those traveling with a partner, these beanies come in matching sets of two. The color options accommodate a multiplicity of tastes and styles, all coming in toned down hues to stay consistent with fishing culture. 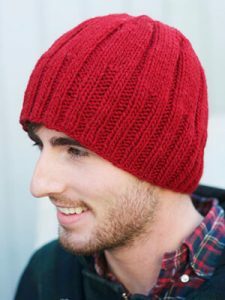 Fishermen’s beanies are a long-held style due to their high utility while the wearer is at sea. 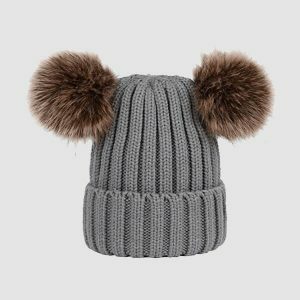 In large part, the needs of the fisher dictated the form and material of the most used beanies. The thickness featured by the ten most popular is indicative of the insulation required at sea. Due to the humid conditions, the materials demand a level of resistance. Given the long hours and limited space during long fishing expeditions, durability during long-term, consistent use is a requirement. 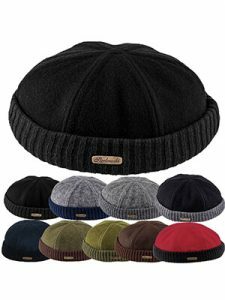 These ten beanies cover the modern style of the fisherman and couples with the traditional features of the fisherman’s beanie. The classic appearance of the boatman meets the innovative technology of the modern day. Development has driven down prices and increased diversity of style, color, and fabric available. Through the use of character design and quality material, these fishermen beanies are strong and durable, just like the fisherman.